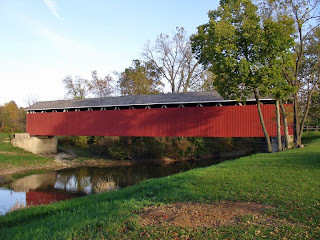 Last few days hubby, myself, and our son trying to visit the covered bridges here in Indiana but something important came up and we delayed it and plan again next time. I am really excited about it since i love taking pictures. One hubby love to see is the 300 ft long covered bridge. This is amazing bridge and love to see not only one but all of it before we leave here going back to our home in NC. anyway, just wanted to share. Thanks for coming and see you again here.